I have worked through three recessions and maybe I will now have to weather a fourth but one lesson that has come out of that experience is that there are always opportunities. So, without wishing to be a one man Glee club, here is my take on how to Keep Calm and Carry On. There may be others but in my discipline of real estate development this is what I have extracted from the debris of Brexit. Downscale. This does not mean downsize but focusses on doing smaller deals and more of them so that if one does turn sour it is a smaller egg in the same size basket. Be nimble. If all around you are losing their heads there will be some bargains to be had. Look at other markets. The currency shift will provide a boost for those abroad with money to invest. If you are paying in dollars then UK property just got around 10% cheaper overnight. Above all, Don't Panic. The market shifts may have been the most dramatic since the 1987 crash but the world is still spinning in the same direction, the Pope is still catholic and cats and dogs have not started living together. The banks are better capitalised than ever, have been stress tested to within an inch of their corporate lives and they have a miniscule funding requirement in comparison with the credit crunch era. Britain is resilient and will survive. Those who keep their heads will do so as well. 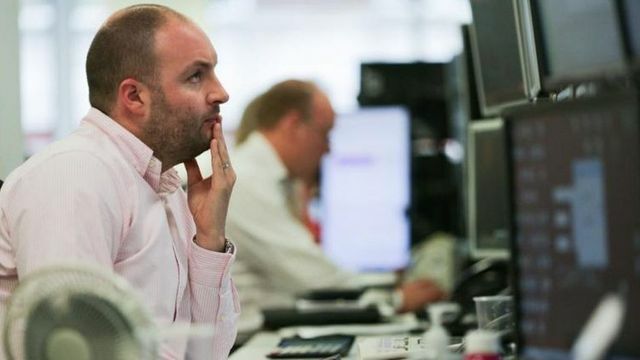 Pressure has eased on UK financial markets after two days of turmoil in the wake of the Brexit vote, with the FTSE 100 share index opening higher. Shortly after trading began, the index was up 2.2% at 6,113.01, while the FTSE 250 had gained 3.1%. The FTSE 100 lost 5.6% in the previous two trading sessions, while the more UK-focused FTSE 250 had slumped 13.7%. The pound also showed signs of recovery, rising 0.7% against the dollar to about $1.33.